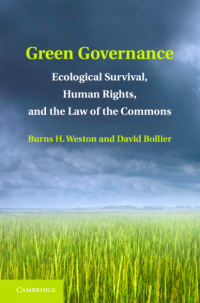 The following remarks are excerpted from a talk that I gave at the Vis Green Academy in Croatia, on August 25, dealing with the commons and its potential to remake cities and city life. My interview on the commons (in Croatian translation) with the Croatian environmental magazine H-Alter.org can be found here. I have been asked to address what the commons might have to say about urban spaces and urban life. The short answer is, a lot! 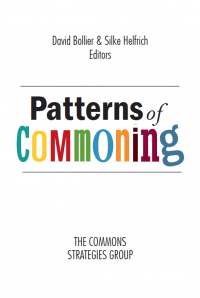 First, the language of the commons helps us assert a moral entitlement to public spaces again. It lets us challenge the unholy alliance of politicians, developers and professional architects and planners, and insist that city spaces serve our needs as ordinary people. This means, first of all, that commercial considerations cannot crowd out vital common purposes – as we see when the market or authoritarians take over. The right to mobility– meaning the right of access and use of spaces, and to create new spaces. Flexibility of organizing– so that people can participate in shaping public spaces and rules, so that everything is not bureaucratically controlled at the expense of people’s natural social and political needs. The re-appropriation of tools– so that people can use the tools for creating our own physical spaces. And a city of many ecologies – which is the basic principle of promoting diversity so that there will be greater resilience and innovation. The fight for the commons in cities is essentially a fight to reclaim democracy – and to re-imagine how city life is organized. There are many, many initiatives that are attempting to reclaim the “right to the city,” but they are highly fragmented and not necessarily connected. I like to think that the commons discourse could begin to knit these many projects together. --That cities must be human-scale, pedestrian-friendly, sociable, lively and fun. --That planning and design of cities should be open and participatory. --That our built landscape should be adaptable to changing circumstances, along the lines of open-source software. Why should future generations be cursed with the costly mistakes of the top-down, centralized planning of a bunch of idiots today? One of the most prominent thinkers about cities and the commons is Nikos Salingaros, the founder of a network of architects, planners and designers known as P2P Urbanism, for Peer to Peer Urbanism. Salingaros is a fierce critic of most of 20th Century urban planning. He criticizes it for its “central planning that ignores local conditions and the complex needs of final users, and which tries to do away with the commons for monetary reasons.” His crusade is to help the commoners reinvent cities, so that they can be more human-friendly, and not simply instruments of the Market and State. “P2P Urbanism is all about letting people design and build their own environments using information and techniques that are shared freely,” says Salingaros. His network includes New Urbanists and traditional urbanists; planners who appreciate collaborative design and user participation; the followers of Christopher Alexander, the author of A Pattern Language; and urban activists. P2P Urbanism is also attracting permaculture advocates, biophilic designers and designers of low-cost, low-energy construction. Needless to say, this is a radical vision in the context of contemporary urban planning. It provokes opposition from the political/commercial interests that control city governments. And yet there are signs of a budding movement around the world to reclaim the urban commons. The various efforts are terribly fragmented, and they haven’t really coalesced as a coordinated trans-national movement. But I think they show great promise. Let me review some of the more notable fronts in this emerging story. Most of us are familiar with the important movements to encourage community gardens and farmers markets, and efforts to protect public parks and squares. I don’t want to dwell on these efforts alone, in part because they are so familiar. I would like to focus on the theme that all of these embody – the idea that cities belong to the people who live there, and that they – not the landlords, developers and politicians – must have the power to design and live in the city as they see fit. Let’s remember that the availability of open, uncontrolled public spaces is directly related to the vitality of democratic culture. It was no accident that following Generalissimo Franco’s death in Spain, the City of Barcelona created all sorts of new public squares. These spaces are crucial to the ability of citizens to express themselves as a collective – and to challenge government abuses of power. More recently we have seen in Cairo how Tahrir Square was critical to the public protests that toppled President Mubarak. The enclosure of public spaces, by the same reasoning, is anti-democratic. When shopping malls and office towers eliminate our public squares, our parks and our promenades, we lose our capacity to see each other, to socialize and speak publicly, to identify and empathize with each other, to BE commoners. Without these spaces, we are forced into playing roles dictated by the Market or the State. The first steps that commoners must take to reclaim the city tend to be more symbolic than anything else, because commoners generally don’t have the power. They have to organize themselves into a whole and see themselves as a new force in politics. That’s okay: symbolism is an important place to start this new dialogue and express new aspirations. I think of the wonderful street protests designed by the San Francisco activist studio known as Rebar. Rebar staged what it called PARK(ing) Day by creating a “pop-up park” in parking space on the street. They fed money into the parking meters while occupying the space. It was a great way to get the point across that 70% of the space in downtown San Francisco is designed for the exclusive use of vehicles, not people. Andy Förster, an Austrian living in Graz, has pulled together a collection of protest initiatives under the name “Neighborgood.” They all aim to publicly express the right to the city over and against the corporate and government bureaucracies. For example, he profiles those who are trying to express the vitality and creativity of the individual in the context of a dehumanizing cityscape. How? By knitting mufflers for bicycle posts, and hats and scarves for statutes and monuments. It’s a kind of folk-art graffiti. He talks about “guerilla gardening,” the practice of planting small flower gardens in public spaces without permission, and then tending them. It’s easy to dismiss these ideas as crazy stunts. But the starting point for reclaiming the urban commons is to break the dreary institutional face of the cityscape, and express the spirit of the commons in fresh, attractive ways. Then people can begin to wake up to their own potential in creating the city themselves. Among the other ideas describe on Andy Förster’s website, Neighborgood.net, are unauthorized screenings of films and videos, otherwise known as “Pirate Cinema”; the use of mobile phones to convene “flash mobs” to stage protests and celebrations; the playing of “Pervasive Games” such as using GPS systems to find “hidden treasures” located somewhere in the city; and “carrot mobs” – which are the opposite of boycotts; they are organized efforts to support businesses that actively help the community or the environment. I’d like to review a number of other commons-based efforts to reclaim the city. In Portland, Oregon, activist Mark Lakeman and the group City Repair has helped neighborhoods see the possibilities for themselves by creating new public spaces. The City Repair project engages in “placemaking” projects that plant gardens and fix intersections. The group has started a City Riparian project to plant trees and shrubs, and they operate a mobile tea house called the T-Horse. In San Francisco and other cities around the world, there are “Critical Mass” bike rides in which thousands of bicyclists turn out for a ride through major city thoroughfares to show that the city belongs to bicyclists, too, and not just cars. In Baltimore, the Community Greens project helps neighborhoods turns their back alleys into commons, by gating them and turning them into shared green spaces. I love the story of how Sao Paulo, Brazil, a city of 11 million people, banned all outdoor advertising. An amazing idea. And in Porto Allego, Brazil, the city pioneered the process of “participatory budgeting,” in which city residents play a direct role in setting priorities for city government spending. Many of you may have heard about the Stuttgart 21 project and the public protests. The Stuttgart Greens had such a remarkable protest of commoners that it actually propelled them into a major electoral victory, and the Greens now leads a coalition government for the first time in any German state. But other digitized objects are frankly anti-social. There are now subway billboards that use hidden cameras and software that claim to detect the age, gender and ethnicity of people walking underneath them, and even to assess – via light beams to eyeballs – whether people are looking at the billboard. The billboard draws value from off the street as people walk about the life, sucking up data for advertisers to analyze. There are now “gendered vending machines” in Japan that have embedded cameras. Using software to guess the age and gender of the potential customer, the machine will change the list of beverage products on its hi-res touch-screen. It’s all about on-the-fly customer profiling and market segmentation. The point is, urban infrastructure is starting to generate data streams that are fed into networks controlled by advertisers, corporations and government. So who should own this data? The obvious answer is, the people. The data should be treated as public goods that everyone should have access to. Greenfield warns that “we have yet to develop etiquettes and protocols” for governing digitized public spaces. Here’s another digital/urban issue: There is a little-known struggle going on right now over how a new series of “top level domains” on the internet shall be used by cities of the world. TLDs are the suffixes at the end of Web addresses, such as .com, .org and .edu. The international body that oversees TLDs is expected to announce a new series of TLDs in 2012 that would give cities their own TLDs, as in .nyc and .paris. The new TLDs could make it easier for people in the same metropolitan areas to find each other and interconnect on the Internet and in physical spaces. The question is, who shall have authority to manage the city-based TLDs, and under what terms? Very few people understand that the anticipated city TLDs represent a world-changing urban infrastructure that could well be squandered through short-sighted privatization. In New York City, for example, the city’s IT department has control over the TLDs, and they are currently planning to sell them off. So, for example, the address www.restaurants.nyc or www.bronx.nyc could be privately owned by the highest bidder. But imagine if these TLDs were used to promote the economic, social and cultural life of the city, and treated as critical infrastructure of the same order as roads and bridges. For example, what if neighborhoods or regions of a city could have their own name connected with the TLD, as in Brooklyn.nyc? Then that website, operated as a commons, could be a portal into the businesses and civic spaces and resources of that neighborhood. Www.brooklynlibraries.nyc could give you a listing of all the libraries, and www.brooklynrestaurants.nyc could give you the restaurants, without your having to use Google and getting 50 million answers. In essence, localities could claim their identities and governance on the Internet, which would have enormous ramifications for the governance of real spaces in neighborhoods and cities. Fortunately, we have a great pioneer to emulate in this regard – the City of Linz, Austria, which has long been at the forefront of civic-minded uses of the Internet and digital technologies. It pioneered free wifi hotspots in dozens of places throughout the city, for example, and let everyone have free email service for non-commercial purposes. A few months ago, Linz announced that it wanted to create a regional information commons. Linz Open Commons is an attempt to build a technological and policy infrastructure to enable easy, cheap sharing of information – from government-wide use of open source software to open street maps and open data platforms, to open educational resources and the use of Creative Commons licenses. The City sees this initiative not just as a civic initiative, but as an economic development initiative. 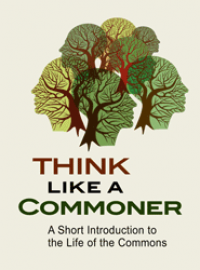 This brings us to the healing logic of the commons for us as individuals. Cicero had a great line: “Freedom is participation in power.” The commons decentralizes power and invites participation. People are invited to contribute their creativity on a decentralized, horizontal scale. They don’t need to remain supplicants to the elites who manage centralized hierarchies and expert-driven institutions, whether of business or government or nonprofits. Self-provisioning through the commons is empowering. It helps to reduce social and economic inequality. It helps promote more responsible stewardship of resources. People have a real stake in the future of their resources. 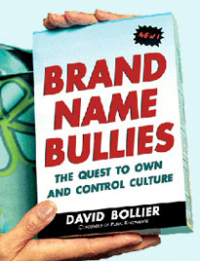 They aren’t just disengaged consumers or citizens looking to “someone else” to deal with a problem. 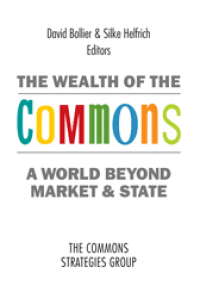 The commons doesn’t try to roll everything up into standardized, commoditized, fungible units that can then be centrally controlled – the way that global markets and governments aspire to do. 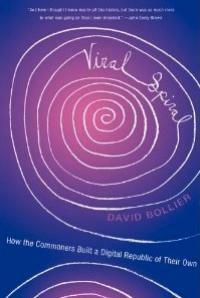 Rather, the commons is all about re-embedding market activity within a social community so that resource management can become socially responsive and accountable. It is about making the management of ecological resources more sustainable. All of these capacities of commons hold a great deal of promise in rejuvenating cities. But first, we need to teach ourselves to see through the prism of the commons and so imagine the possibilities. hi david thank you for this post which is 'dense' and inspiring. i would like to ask whether emotions of citizens are mapped and are considered as commons. don't you think that emotions are private but influenced by places and, more important, emotions can influence and change the perception of places? how you can manage perceptions of places from a private point view but considering that places (commons architecture space) are public? how to balance a good relationship between places and human beings, both inhabitants and occasional visitors?